Experience the No.1 sightseeing tour on the Thames! City Cruises offers regular sightseeing cruises 365 days a year between Westminster, London Eye, Tower and Greenwich. City Cruises fleet of sightseeing boats is one of the most modern on the river and designed especially with the sightseer in mind. That's why you'll find all the sightseeing boats feature comfortable saloon and large, open-air decks, which are the best way to see London pass by. The hugely popular tour hosts 4 million passengers every year, and it's no wonder - not only can you see the capital's world-class sites but you can experience a number of on board activities - from jazz evenings to afternoon tea. The River Red Rover all-day travel pass offers unlimited access to the river. Some of City Cruises' boats are wheelchair accessible with two spaces per boat available. Contact the reservations team to discuss which boat is best for you. You'll find bars serving a wide range of hot and cold drinks, snacks and sandwiches. Each year City Cruises serve 145,000 canapers on the Sundowner evening cruise. 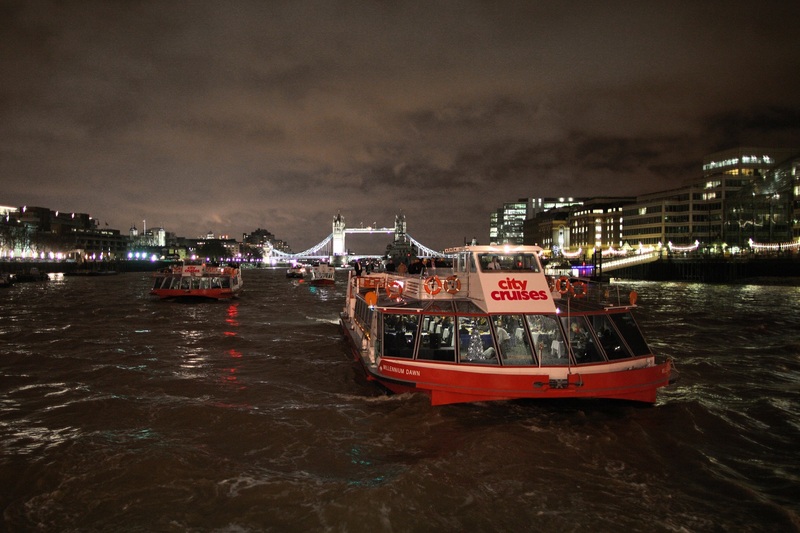 City Cruises also operate the Thamesjet - the thrilling speedboat sightseeing experience! You can meet the King himself on board the Elvis cruise.